Liverpool's second-half performance at Southampton was another example of their title credentials, declared Virgil van Dijk. Jürgen Klopp’s side fought back from an early deficit at St Mary’s, with Naby Keita’s header cancelling out Shane Long’s strike for the hosts. There was work still to do after the interval, though, and the visitors’ determination forced two late goals in front of the away supporters. Mohamed Salah ran the length of the Southampton half and clipped in a finish to edge Liverpool in front and Jordan Henderson added gloss to the turnaround soon after. It was another exhibition of character by the Reds and Van Dijk pointed to that never-say-die attitude as the reason for their challenge for Premier League glory. “I think the first half was difficult because we made it difficult,” the No.4, who captained the side from the start, told Liverpoolfc.com post-match. “The gaps were too big and obviously they scored the first goal and it was going to be difficult because it gave them belief. The result on the south coast increased Liverpool’s points tally to 82 from 33 games, two ahead of reigning champions Manchester City having played one match more. Accruing such a significant total is down to the players’ unshakeable belief in their ability to find a way through any opponent, according to Van Dijk. “The most important thing is to just keep on doing what we’ve been doing all season,” continued the centre-back. Each of Liverpool’s goals represented landmarks for the scorers. Keita opened his account for the club, Salah notched his 50th in the Premier League for the Reds at a record speed, and Henderson was on target for the first time this season. “I’m very pleased for all three of them as Hendo doesn’t score too many goals but it was a big goal,” reflected Van Dijk. Five Premier League fixtures remain for Liverpool after the latest in a series of hard-fought, challenging victories in recent weeks. For Van Dijk, the message for the matches ahead is simple. “Like I said, it’s difficult for teams to defend us for 90 minutes. There’s going to be spaces and we need to try to exploit those spaces. 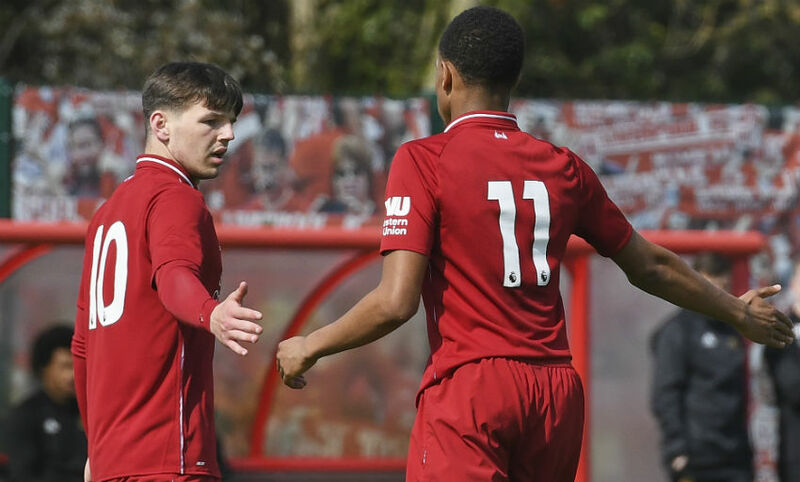 Liverpool U18s produced a brilliant second-half performance to beat Wolverhampton Wanderers 2-1 at the Academy on Saturday. 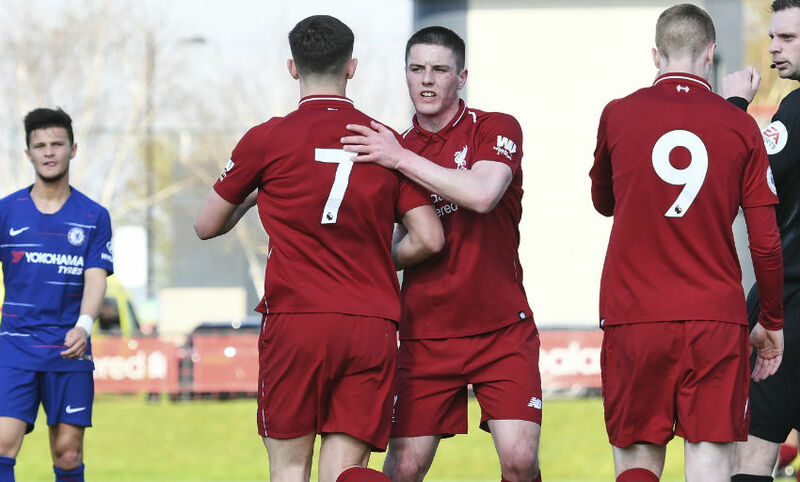 Goals from Jake Cain and Bobby Duncan were enough to keep the young Reds' U18s Premier League North title hopes alive. Cain opened the scoring with a superb curling effort in the 53rd minute before Duncan lobbed in his 29th goal of the season. Taylor Perry then scored what proved to be a late consolation for Wolves. Barry Lewtas' side remain two points adrift of leaders Derby County in the league table, although the Rams do possess a game in hand. After a number of early half-chances for either side, the first clear-cut opportunity fell to the hosts 24 minutes in after they seized the initiative. Cain was at the centre of Liverpool's attacking output and received a cross on the edge of Wolves' penalty area. However, the midfielder didn't strike the ball cleanly enough to beat goalkeeper Jackson Smith. The spell of Liverpool pressure continued following the half-time break and their efforts were rewarded eight minutes after the restart. Cain was once again in a threatening area and picked up the ball on the right-hand side of Wolves' 18-yard box. The 17-year-old opened up his body before unleashing a side-footed shot into the far left corner for his third goal of the season. Rather than sit on their lead, Liverpool pushed hard for a second - and got it four minutes from time. Duncan latched on to Rhys Williams' perfectly-executed long-range pass before lifting the ball over the advancing Smith in the Wolves goal. Duncan's finish proved to be vital as Perry netted in the 89th minute to set up a tense finish. 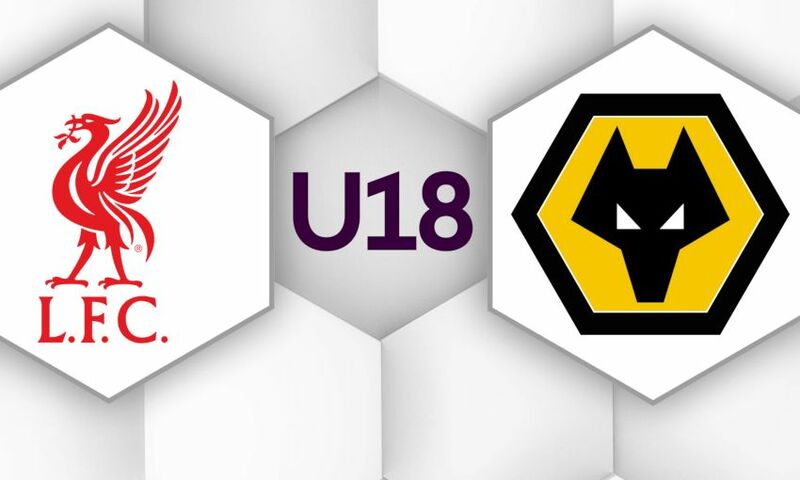 The U18s will now travel to the United States to play in the prestigious Dallas Cup before returning to conclude their league campaign and play in the FA Youth Cup final. 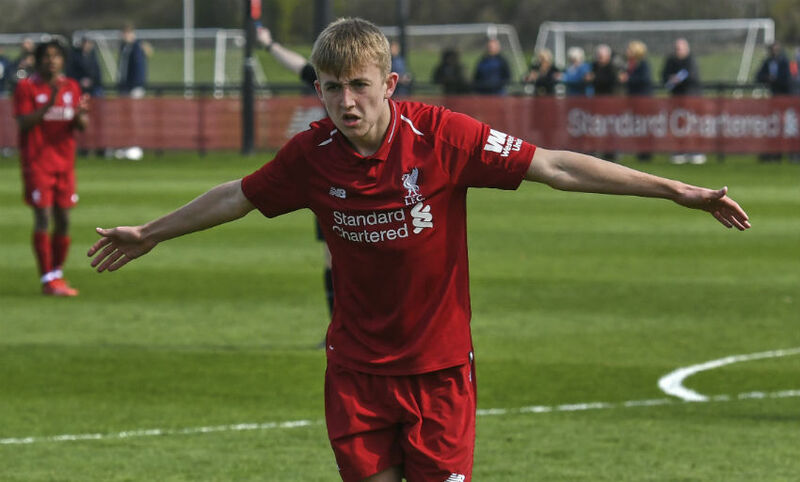 Liverpool U18s: Atherton, N. Williams (Walls, 89), Larouci, R. Williams, Boyes, Raitanen, Cain (Ritaccio, 90), Clarkson, O'Rourke (Longstaff, 51), Duncan, Dixon-Bonner. A 3-1 win over Southampton saw Liverpool return to the top of the Premier League on Friday. Goals from Naby Keita, Mohamed Salah and Jordan Henderson were enough for the Reds to overturn an early deficit and pick up a crucial three points in the race for the title. Jürgen Klopp’s side have gained 16 points from losing positions in the top flight this season - the most in the division. Liverpool also lead the way in terms of goals scored in the last 15 minutes of Premier League games in 2018-19 with 20. The Reds have won seven of their last eight Premier League games when conceding the opening goal, including the last five in a row. Friday’s victory means Liverpool have now beaten Southampton in four successive league games for the first time in the club’s history. 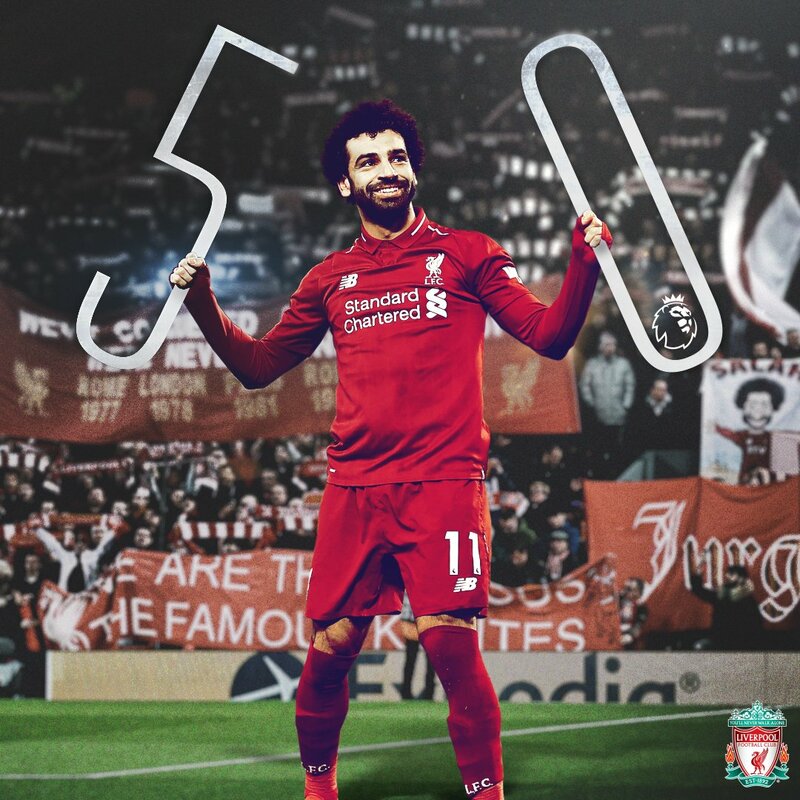 Salah’s late solo strike saw him reach the milestone of 50 Premier League goals quicker than any other Liverpool player. The Egyptian’s half-century were scored in 69 appearances, three fewer than previous record-holder Fernando Torres. Indeed, only Alan Shearer (66 matches for Blackburn) and Ruud van Nistelrooy (68 matches for Manchester United) have hit the landmark in fewer appearances for a single club in the competition. Salah also became just the second player in Premier League history to score in each of his first three matches on a Friday, after Thierry Henry who scored in all four of his such matches in the division. Keita’s vital headed equaliser marked his first goal for Liverpool and saw him become the third Guinean to score in the Premier League, after former Red Titi Camara and Kamil Zayatte. Trent Alexander-Arnold’s start at St Mary’s represented his 50th Premier League appearance for Liverpool. Only Michael Owen, Raheem Sterling, Robbie Fowler and Steven Gerrard have reached that figure at a younger age than the right-back. Liverpool produced a come-from-behind 3-1 victory at Southampton to return to the top of the Premier League. Goals from Naby Keita, Mohamed Salah and Jordan Henderson saw the Reds overcome Shane Long's ninth-minute opener at St Mary's on Friday. The character and resilience of this Liverpool team is clear to see. They have now won seven of their last eight Premier League games when conceding first. Jürgen Klopp's side recovered from an early setback to secure a vital three points in the title race. "It’s brilliant," the boss said of his players' mentality afterwards. Henderson and James Milner came off the substitutes' bench after 59 minutes and inspired the comeback as Liverpool left it late once again. Salah's counter-attacking goal to put the visitors 2-1 up arrived in the 80th minute, while Henderson's impressive cameo was rewarded with a close-range finish four minutes from time. No player has scored 50 Premier League goals for Liverpool quicker than the Egyptian. Bringing up that figure after 69 appearances sees him take the record off Fernando Torres (72). And what a way to do so. After Liverpool successfully cleared a Southampton corner, Salah picked up possession deep in his own half before driving towards the hosts' penalty area. Approaching Angus Gunn's goal, he could have played in Roberto Firmino to his left. Instead, the reigning Golden Boot holder had the confidence and ability to fire home and put Liverpool ahead. "I think that's goal No.50 for Liverpool in the Premier League, that's special," he said post-match. The nip-and-tuck nature of this title race continues. Liverpool are now at the summit once again, having been leapfrogged by Manchester City in midweek. "Liverpool, top of the league," chanted the joyous travelling Kop. The Reds are back in league action next Sunday when Chelsea visit Anfield. City, meanwhile, visit Crystal Palace a couple of hours earlier. The midfielder certainly picked a good moment to open his account for the club. 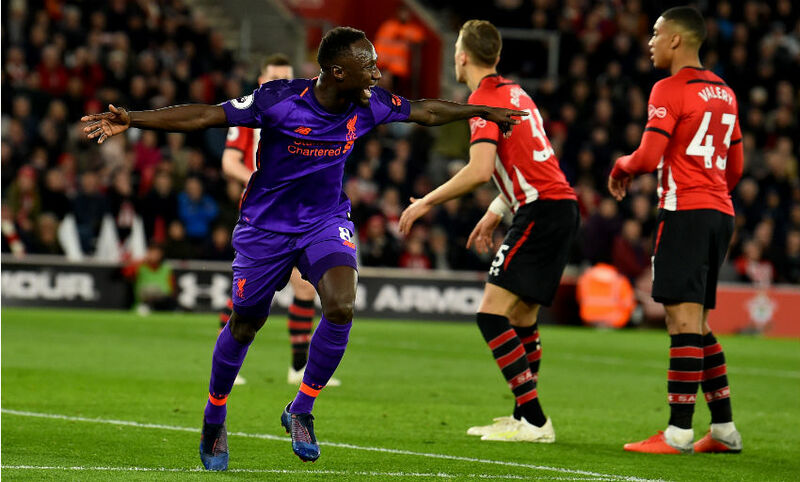 A resurgent Southampton threatened plenty throughout the first half, but Keita was on hand to round off a good spell of Liverpool pressure in the 36th minute. In the second phase of an attack, the No.8 produced a giant leap at the back post to nod in and put the visitors level. He became the third Guinean to score in the Premier League after former Red Titi Camara and Kamil Zayatte. It was a welcome impact in what was his first Premier League start since February 9. On a night of significant half-centuries, Trent Alexander-Arnold got in on the act, too. 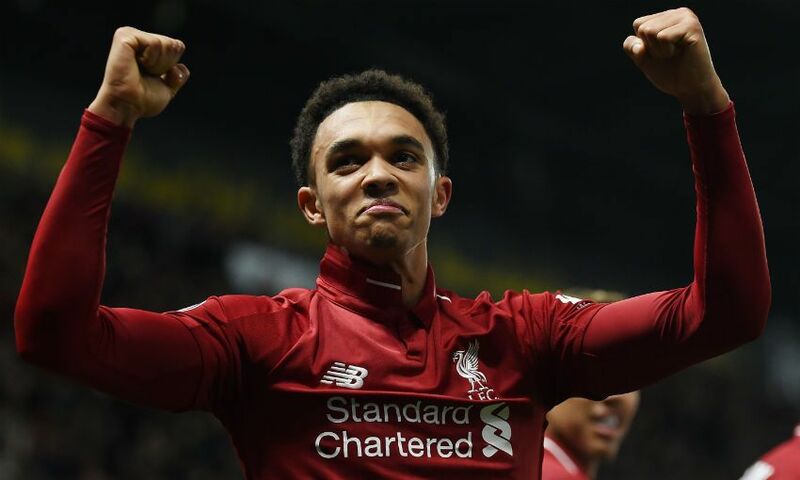 The right-back racked up his 50th Premier League appearance for Liverpool with a start at St Mary's - becoming the fifth-youngest player in the club's history to achieve the feat after Michael Owen, Raheem Sterling, Robbie Fowler and Steven Gerrard. As we saw frequently in his previous 49 outings, Alexander-Arnold's threatening delivery was on display against Ralph Hasenhuttl's side. 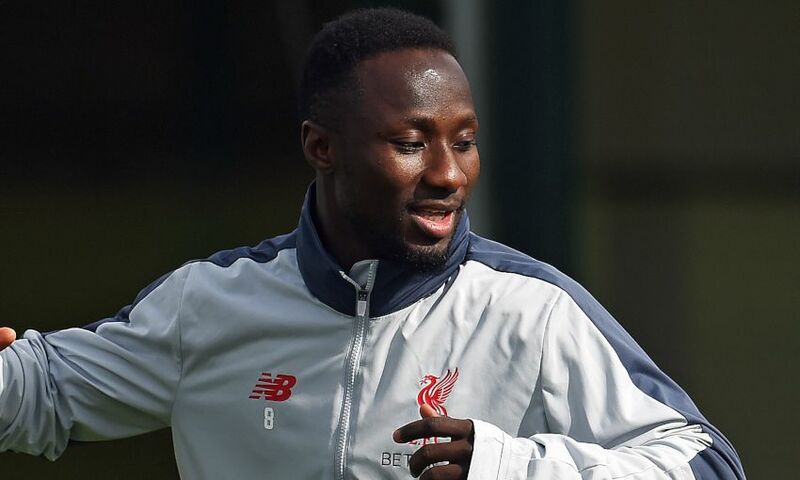 It was his cross from the Southampton byline that was met by the leaping Keita for his seventh assist of the season. It's safe to assume similar service will be present in his next 50. 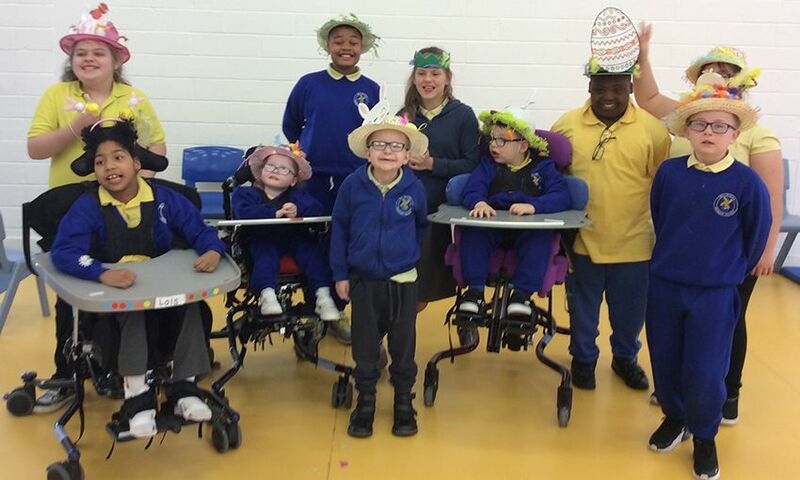 The school hosts an Easter Bonnet Parade each year, with pupils and their and parents joining forces to create their own unique designs for entry into the competition. As one of Red Neighbours’ 25 schools, Millstead pupils have attended three Liverpool games so far this season through the free tickets for schools initiative and will be in attendance at the Huddersfield Town fixture later this month. Creating memorable experiences for young people is one of the four main areas of focus for Red Neighbours, alongside support for the elderly community, food poverty and education, and encouraging a physically active community. Liverpool came back from a goal down to beat Southampton 3-1 at St Mary's on Friday. After Shane Long had fired the Saints into a lead, Naby Keita then levelled with his first goal for the club. Mohamed Salah then netted his 50th Premier League goal for the Redsto make it 2-1 before Jordan Henderson made certain of the victory. Cometh the hour, cometh the man. 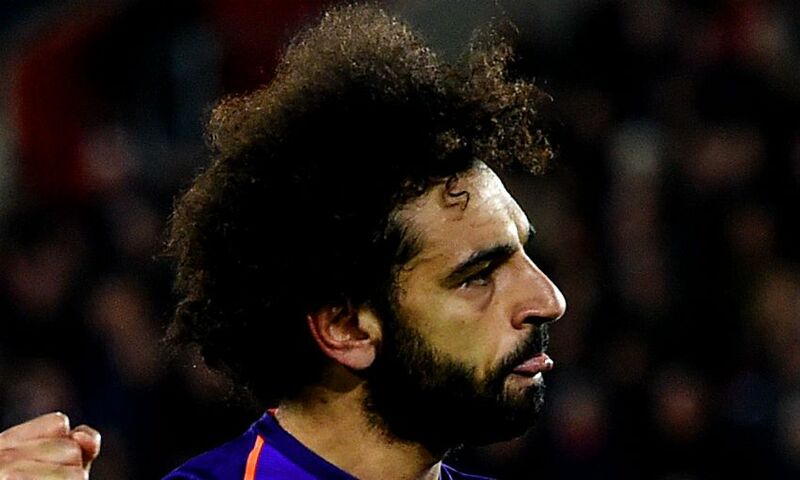 With the clock ticking and Liverpool in desperate need of inspiration on the south coast, their Egyptian King stepped up and delivered. The longest drought of Salah's Reds career was ended in sensational fashion as he ran half the length of St Mary's to write another unforgettable chapter in this thrilling title challenge. What a way for Salah to enter the record books as the fastest player in the club's history to reach a half century of league goals for the Reds. His stunning individual effort – his first goal in nine appearances - triggered wild celebrations in front of the jubilant travelling Kop. “Liverpool, top of the league,” they roared as Manchester City were knocked off the summit. Once again Jürgen Klopp's side found a way to win when operating nowhere near their best. Once again there was late drama as they showcased their powers of recovery to turn a potentially devastating stalemate into a priceless victory. The bottle of this team Klopp has assembled is staggering. As the stakes keep getting higher, the size of the cojones on display are immense. There's a powerful sense of unity, spirit and belief – coupled with an abundance of quality - which is powering them towards the finish line. Whether it's enough to secure the Holy Grail only time will tell. Relying on City to slip up, Liverpool aren't masters of their own destiny. It's a mark of just how far Liverpool have come under Klopp that Champions League qualification for a third successive season will barely get a mention. All eyes are on the big prize and their 82-point haul with five matches to go is remarkable. Only twice in the Premier League era have they ever surpassed that tally. This is a truly special team. Pity those who don’t love football. You can keep your Netflix thrillers. Forget your skydiving and your rock-climbing. Don’t bother with bungee jumping or white-water rafting. No, for sheer, unfiltered drama. For seat-of-your-pants terror and torment and the moments you’ll never forget, come to the Premier League, come to the title race. Come to watch Liverpool, the game’s ultimate thrill-seekers. There won’t be a fingernail left on Merseyside if this continues. The Premier League title race is still alive, but once more the Reds had to drag themselves away from the edge of the cliff to keep it that way. As the stakes rise, Klopp’s side simply refuse to take the easy route. Heroes emerged, some familiar, some unlikely. It's a squad game, Klopp says, and he was proven right here. Keita chose the best possible time to score his first goal for the club, equalising before half-time. "A fantastic moment," said Klopp. And then, as the time ebbed away and the stress levels rose, Salah found the goal which sparked incredible, unforgettable scenes in the away end. Eight long games Liverpool fans have waited to see Salah’s trademark open-armed celebration - boy was it worth it. Fans in the away end could have been forgiven for urging the Egyptian to pass to the arriving Roberto Firmino as he streaked toward goal, but there was never any chance of that happening. Liverpool’s No.11 certainly didn’t look to be carrying any mental burden as he picked out the far side of Angus Gunn’s net with a finish reminiscent of so many of his efforts last season. And you could see how much it meant to him as he whipped his shirt off in front of the celebrating Reds fans in the immediate aftermath. If that is the start of a big period for Salah, he could not have timed it any better. If City somehow don’t crack under this pressure, they will deserve the quadruple trophy victory it will likely bring about. If it is Liverpool lifting the league championship in May, this relentless run of wins will have much to do with it. How much more drama can this title race take? How much more tension can Liverpool put themselves through, and still keep mastering it? How much more can Manchester City watch on before they break under the endless pressure of it? This is a series in which every episode is a thriller, none more so than Liverpool’s 3-1 win at Southampton. No game could ever be as draining as their win over Spurs last Sunday but this was close. It was yet another late win, this time Mohamed Salah making the difference, running 50 yards on the break, with 10 minutes left. One of the greatest moments yet in this unforgettable season, and one that showed that however Liverpool are playing, it does not especially matter much anymore. All the matters is getting over the line. They only have to do this five more times and then Manchester City will have to be immaculate on their far longer, harder run-in if they are to defend their title. Jordan Henderson carried out exactly what Jürgen Klopp instructed when he was introduced in the second half of Liverpool's eventual 3-1 win at Southampton on Friday. The captain and James Milner were brought on with 59 minutes on the clock at St Mary's and the scoreline finely poised at 1-1. The duo's introduction had the desired impact as Mohamed Salah made it 2-1 before Henderson secured the three points with a well-worked goal four minutes from time. Asked what the message from the boss was, Henderson told Liverpoolfc.com: "Make a difference. "Use our experience and then make a difference. Help the lads, get them going because we were under a bit of pressure. The turnaround on the south coast put Liverpool back on top of the Premier League once again. For the third consecutive top-flight match, the Reds came away with a vital victory having been faced with the prospect of dropping points. 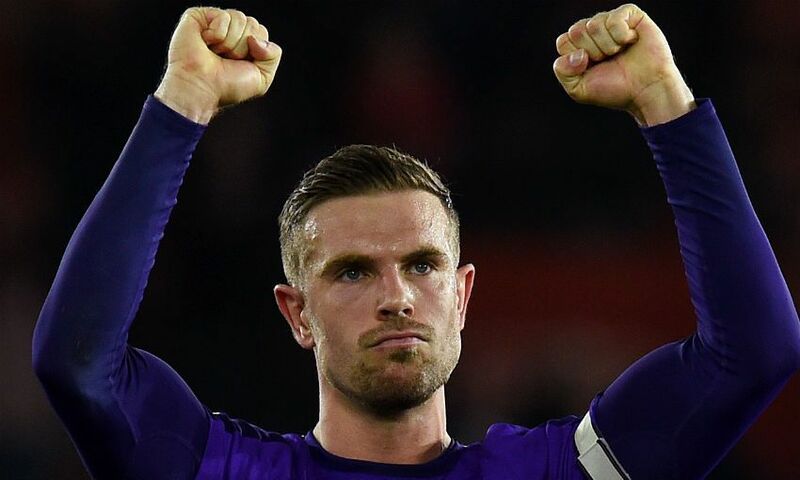 "The manager has been big on that," Henderson added. "He was big on that when he first came in a few years ago - that no matter what happens in the game, we still fight right until the very end. "That is what we have been doing for a long time now and we need to keep that mentality going and not stopping until that final whistle goes. "To go 3-1 up and kill the game off really was a big moment and a big result for us. That’s the most important thing, but going a goal behind we were really pleased that we managed to keep going and stay in the game. "It was a must-win [game], we knew that, so it’s a big result for us going forward." 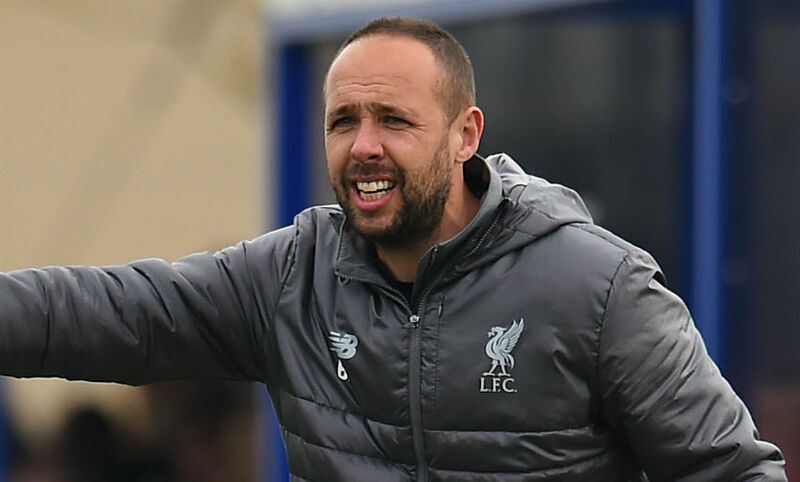 Barry Lewtas praised the resilience of his side after yet another late goal earned Liverpool U18s a priceless point away at West Bromwich Albion in midweek. Yasser Larouci’s 90th-minute equaliser in the 3-3 draw was the eighth time this season the young Reds have netted a decisive, last-gasp strike. As Lewtas’ team prepare to host Wolverhampton Wanderers at the Academy on Saturday, the race for the U18s Premier North title is set to go to the wire. With three games left to play, the Reds are two points behind leaders Derby County, although the Rams do have a game in hand. Saturday’s meeting with Wolves starts at 12pm BST and you can watch the game live on LFCTV GO. We got the two-goal lead but I wouldn’t say we were on top and dominating the game at that point. We did well to get the two goals but then it was disappointing to concede not long after that, and then when it went to 2-2 it was probably a fair result. They had a good spell in the game and then they went 3-2 up which was disappointing. We changed our formation and went to three at the back and got at them more down the sides. We then had more control of the game. It was a whirlwind of a game and the boys stayed in it at the end and got a point. Looking back at the last 30 minutes, it was the least we deserved. Obviously it wasn’t the best day at the office, but sometimes that can happen. It’s no fluke that we have got so many late goals this season and it sums up the personality and the character of this side. They got so many men behind the ball at times and in the first half we had so many good moments to attack and counter-attack, but we didn’t really make the most of that. When Yasser scored right at the end we actually could have won the game in stoppage time with Bobby [Duncan]. Rhys Williams also hit the post and their goalkeeper made some good saves. We certainly had good chances and, at this point of the season, we have to take them as a group. But we got a point and we will be ready for the next game. It’s another tough game in prospect because Wolves have been doing well recently. We are excited to be back at home and are looking forward to it. The lads were disappointed they couldn’t get the win at West Brom, but towards the end of the season there’s going to be a few ups and downs and we keep going. It’s exciting for the lads and we will pick ourselves back up on Saturday. It’s another exciting game to look forward to and we can’t wait for it. They are a good team, it’s a long way off because we have a few more games to look forward to first before then. That will be a nice showcase to end the season and it’s exciting. 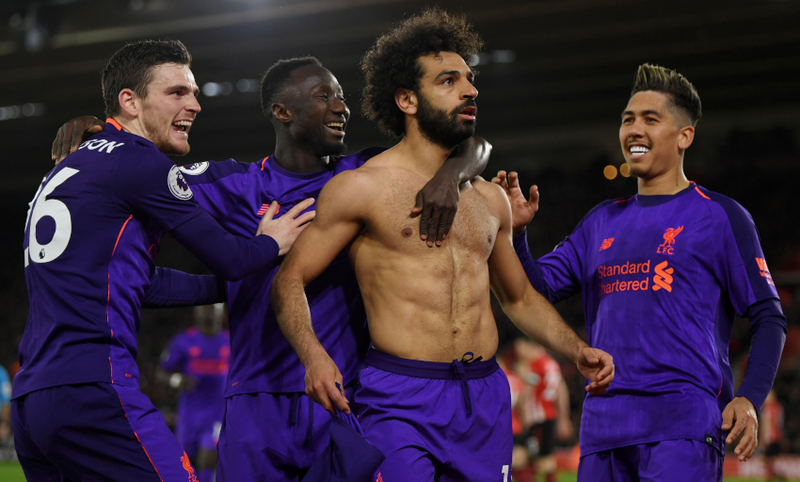 Despite becoming the fastest ever player to score 50 Premier League goals for Liverpool, Mohamed Salah insists victory over Southampton was the most pleasing aspect of Friday night. The Egyptian brought up his half-century for the club as he netted the Reds' second in a come-from-behind 3-1 win at St Mary's. Salah achieved the feat in 69 appearances - three outings quicker than the previous record set by Fernando Torres. Speaking to Sky Sports after the match, the No.11 said: "I think that's goal No.50 for Liverpool in the Premier League, that's special. "After nine games [without scoring], I'm very happy to score a goal to help the team. Salah's goal arrived 10 minutes from the end on the south coast following a rapid breakaway from a Southampton corner. The forward carried possession deep from his own half before reaching the opposing penalty area and unleashing a clinical finish beyond Angus Gunn. Roberto Firmino had appeared as an option on his left, but when asked if he ever pondered squaring the ball to his Brazilian teammate, Salah replied: "Not at all! 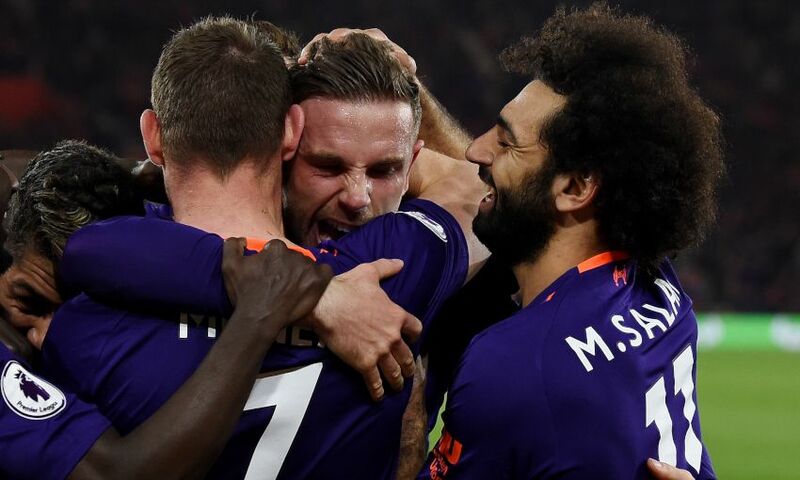 Late strikes from Mohamed Salah and Jordan Henderson sent Liverpool back to the Premier League summit with a 3-1 comeback win at Southampton on Friday night. Salah ran the length of the opposition half to slot a finish into the right corner on 80 minutes and Henderson tucked the third home six minutes later to settle another hard-fought result for Jürgen Klopp’s team. Shane Long had opened the scoring for Saints in the ninth minute with a clinical, low drive past Alisson Becker, but Naby Keita’s first goal for the Reds restored parity before the break. The final score meant Liverpool moved back above Manchester City at the top, two points clear having played one match more than the reigning champions. Klopp made two changes to the side that started last weekend’s win over Tottenham Hotspur, with Fabinho and Keita brought into the XI in place of Henderson and James Milner. Virgil van Dijk captained Liverpool at the home of his former club. There was an open feel to the contest from the off and it was the hosts who capitalised to take the lead with just nine minutes on the clock. Ryan Bertrand’s lofted cross from the left flank was flicked on by Pierre-Emile Hojbjerg for Long to calmly collect in the middle of the area and knock a finish into the bottom left corner from six yards out. 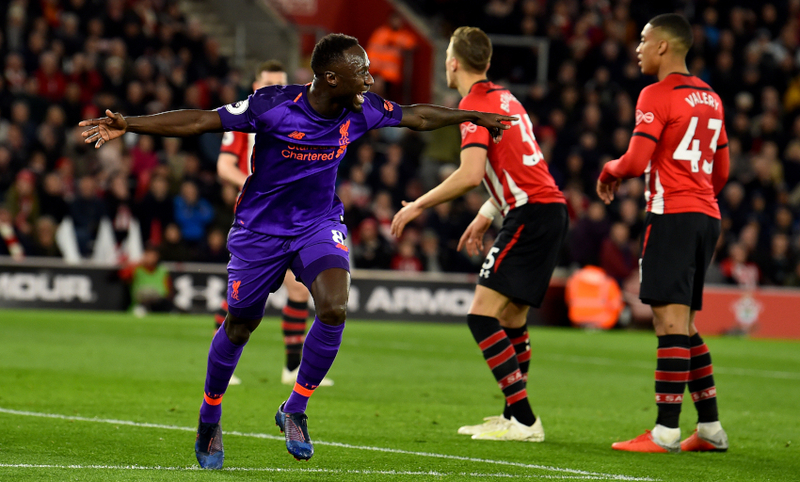 The breakthrough was a fillip for Saints players and fans alike, and the home team were encouraged to test Liverpool’s resolve in the immediate aftermath. Klopp’s men might have levelled in the 16th minute, however. Joel Matip’s surge forward created space and when Salah eventually dinked in a cross for Sadio Mane, the No.10’s downward header was pushed away by Angus Gunn and Keita could only skew the rebound wide. Van Dijk then had to lift a clearance over his own crossbar when another delivery from the left wing was nudged along its path by an unmarked Long. From there, the Reds – wearing purple – pressed and probed without incision, until the 36th minute. Salah was sprung in behind to get the visitors on the front foot and after an Andy Robertson cross reached Trent Alexander-Arnold on the opposite side, the full-back astutely picked out Keita’s run into the box and the midfielder guided a header over the line despite Gunn’s touch. Mane was unable to connect properly with a precise Roberto Firmino tee-up to the centre within moments, so the teams returned to the dressing rooms level at the interval. 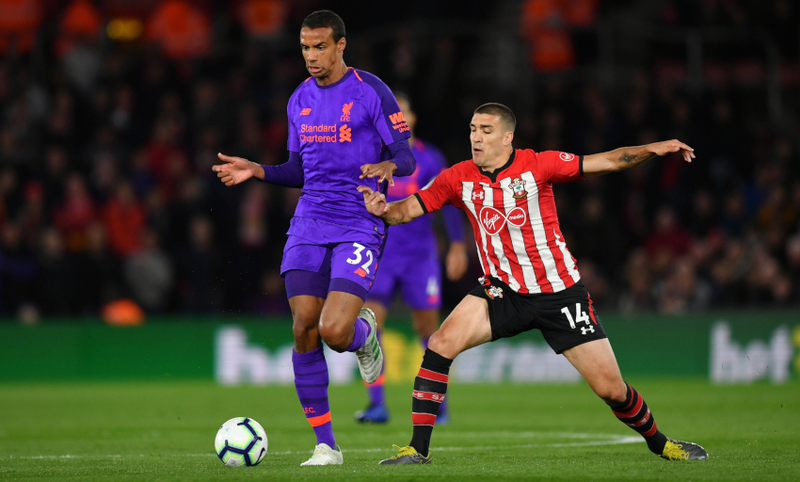 Southampton continued to cause problems from the re-start and Matip defended well as Nathan Redmond sprinted at him one-on-one, a timely tackle enough to eliminate the danger. Klopp’s response was to send on Henderson and Milner for Alexander-Arnold and Georginio Wijnaldum, just shy of the hour mark. Milner took up the right-back position. By now Liverpool were dictating the game and Firmino was disappointed to miscue his finish when Mane dribbled past Jan Bednarek down the left and pulled the ball back into the area to his teammate. The Brazilian was then unlucky to see a close-range prod blocked by Maya Yoshida having pulled Keita’s cross to the middle over Jannik Vestergaard and turned to shoot. But Liverpool found the goal they needed on 80 minutes. A cleared Southampton corner was quickly and intelligently headed forward by Henderson and Salah seized the moment, driving at the lone defender in his way and reaching the edge of the box before clipping a strike beyond Gunn. And the visitors guaranteed three more crucial points when Firmino snuck into the right channel, stood up his marker and squared for the supporting Henderson to convert and send the nearby travelling fans wild. Trent Alexander-Arnold is the fifth youngest player in Liverpool's history to reach 50 Premier League appearances. After being named in the starting line-up for Liverpool's encounter with Southampton on Friday night, Alexander-Arnold achieves the feat at the age of 20 years and 180 days. The Academy graduate made his league debut in December 2016, appearing as a late substitute in a 3-0 win at Middlesbrough. 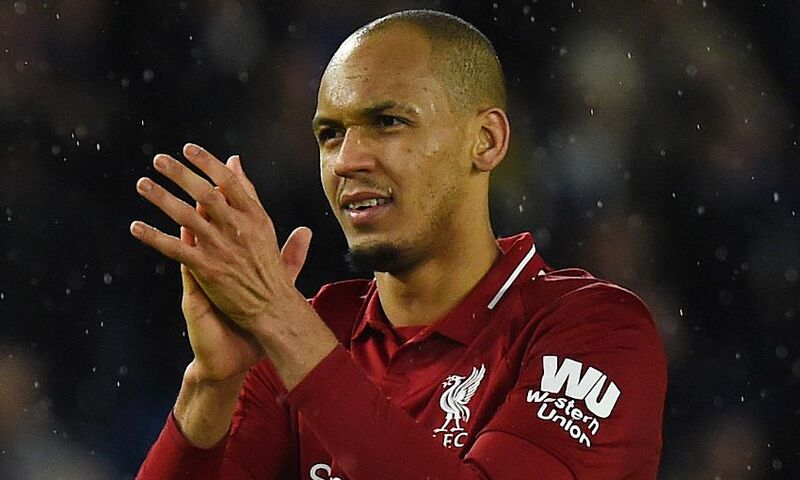 Jürgen Klopp revealed there were several reasons for the decision to introduce Fabinho and Naby Keita into his starting XI to face Southampton. 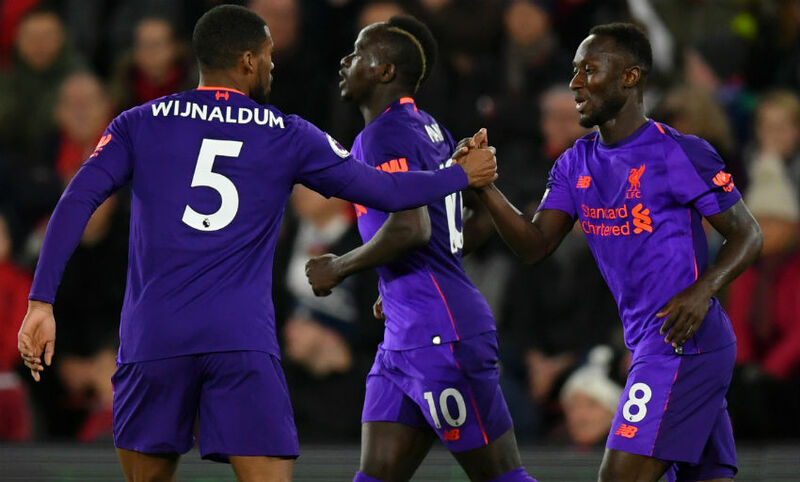 The midfield pair replace Jordan Henderson and James Milner for the Premier League clash at St Mary’s – the only changes from the Liverpool side that started against Tottenham Hotspur last weekend. Asked for the thinking behind the alterations, Klopp told Sky Sports: “Just bringing in fresh legs, adapting to the opponent, adapting to the intensity of our game. Liverpool: Alisson, Alexander-Arnold, Matip, Van Dijk, Robertson, Fabinho, Wijnaldum, Keita, Mane, Salah, Firmino. Join us on Easter Sunday at Anfield's Boot Room Sports Cafe. Spend time with family and friends over a delicious three-course Easter Sunday lunch created specially by our head chef. 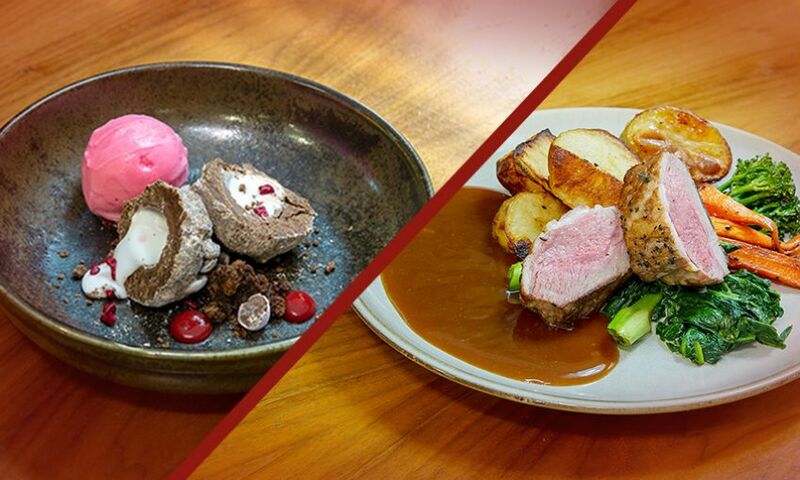 Enjoy a choice of freshly-prepared, locally-sourced dishes, including roast beef or lamb served with all the trimmings, and indulge your sweet tooth with a scotch Creme Egg brownie. The three-course Easter Lunch is just £17.50 per person, available on Sunday April 21, including free entry into The Liverpool FC Story museum. Booking is advisable – call 0151 906 1892 to book your table. To book online and to see the Easter menus in full, click here. If you’re visiting the Boot Room Sports Cafe over the bank holiday weekend, why not combine your visit with a stadium tour – official club mascot Mighty Red, will be making special appearances during stadium tours on Saturday April 20. Appearances take place on the level two concourse area at 11.30am, 1pm and 2pm. 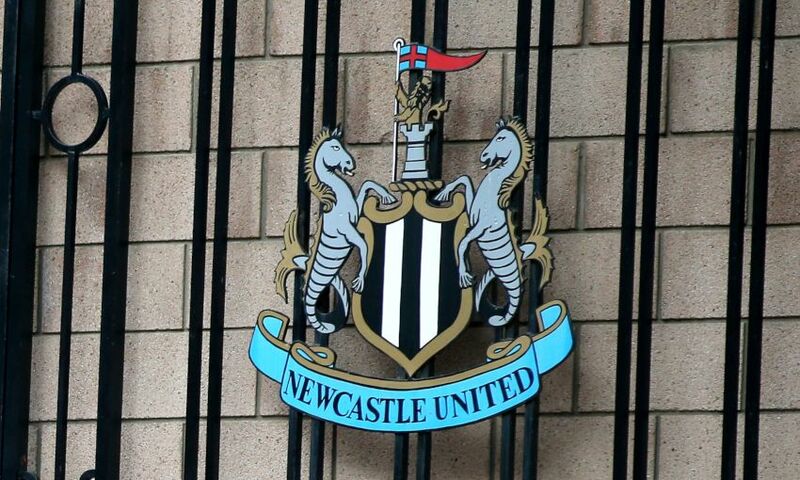 Liverpool's Premier League fixture with Newcastle United has been rescheduled for a 4.30pm BST kick-off on Sunday May 5. The Reds’ penultimate match of the league season, at St. James’ Park, will be shown live by Sky Sports. The game could be moved again, subject to Champions League semi-final scheduling should Liverpool progress past FC Porto in the last eight. Sadio Mane is up for the PFA Fans' Player of the Month award - vote for Liverpool's No.10 now. The forward netted three times in four Premier League appearances in March, helping to keep the Reds in contention for the title. 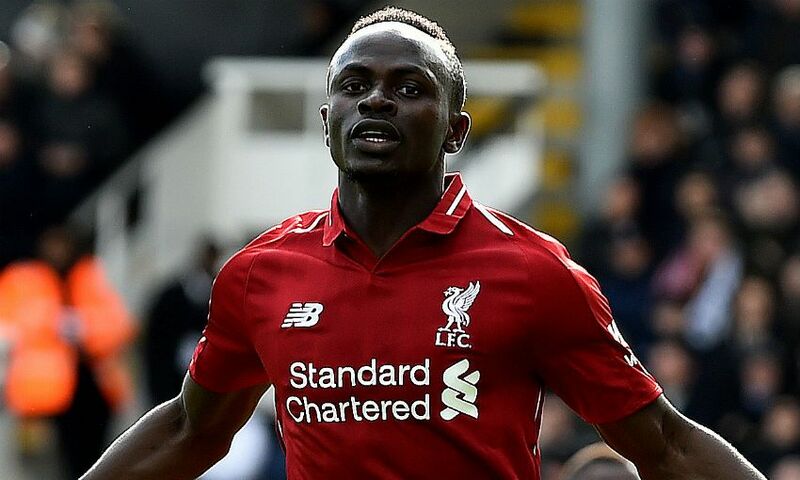 Mane is up against Lucas Digne, Wilfred Ndidi, Raheem Sterling, Jamie Vardy and Aaron Wan-Bissaka for the latest edition of a prize he last won in August. Click here to cast your vote for the Senegalese now.